KUALA LUMPUR – The Election Commission (EC) Thursday denied a viral message claiming that September 30 is the last day for new voters to register and be eligible to vote in the 14th general elections if it were to take place in March 2017. 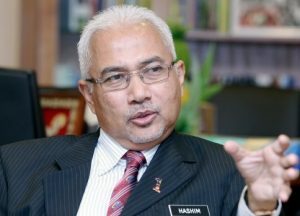 EC chairman Datuk Seri Mohd Hashim Abdullah said in a statement that September 30 was only the end date for 2016’s third quarter registrations list, and that the EC will enter its fourth quarter list of registrations beginning October 1. “In regards to the viral message that September 30, 2016, this Friday, is the closing date for registering and qualifying a person’s as a voter in the 14th general election should it take place in March 2017 is merely the assumption of certain quarters and is not true,” he said. Mohd Hashim added that people are advised to register as early as they can, and not wait until the last minute. “EC encourages members of the public who have not registered as a voter to take the opportunity to register immediately without waiting until the last minute or simply because of a viral message,” he said. He also clarified that registration will require the registering person to be present for the process, and not to fall for other viral messages that claim to register a person by sending images of your identification card over short messaging system (SMS) or the WhatsApp application.